"I was born in Monterrey, Mexico; to a single mother (I never met my biological father). "When I was six my mother married a retired American citizen traveling through Mexico. Charlie Stork married my mother and, three years later, brought us to El Paso, Texas. "Charlie died when I was thirteen years old in an automobile accident, and my mother and I moved to the housing projects of El Paso. I was able to get a series of scholarships that allowed me to get an education. "From Jesuit High School, I went to Spring Hill College, a small Jesuit College in Mobile, Alabama; where I majored in English and Philosophy. "After Spring Hill, I got a Danforth Fellowship that allowed me to study Latin American literature at Harvard. But although I loved the teaching part, writing the kind of scholarly papers that graduate school required was not for me. "I thought it would be easier for me to write novels, if I was able to support myself some other way, so I went Columbia Law School and have been practicing law for 28 years. "I wanted to write since I was in the first grade when my teacher in Mexico would put me in front of the class and I would make up stories. I kept journals since high school and wrote pretty much every day (and still do), but it was only until I was forty that I started to write my first novel. It was published five years later by a small press after countless rejections and revisions." What were you like as a YA reader? Who were your favorite authors? What were your favorite titles? When I was a freshman in high school my English teacher gave me a list of the one hundred greatest books, and I went through the list, one book after another, starting with Antigone. I loved Cervantes, and I loved all the Russian authors. I loved all of J.D. Salinger's works. 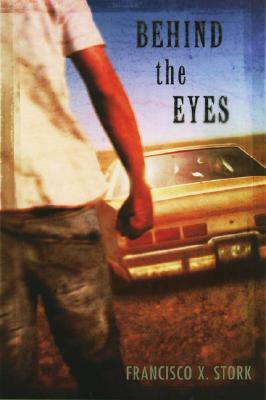 My second novel, Behind the Eyes (Dutton, 2006), had a sixteen-year-old protagonist and when the book was rejected by the adult publishers, Faye Bender, my agent, sent it to YA publishers, and it was immediately accepted. So, at first I didn't write intentionally for teens. But now I see a purpose behind that first acceptance, and I think I will probably always have teen characters in my books. I identify with them so much, and I appreciate the significance of that stage of life. My first book, The Way of the Jaguar (Bilingual Review Press, 2000)(an adult book), took five or six years to get published. I would send out a draft and get rejections. One time, I got a rejection letter that said the book was an unpolished gem, and the publisher told me what didn't work for her. I trusted what she said, and I went back and basically rewrote the book based on her insight. After I finished it, it was published by Bilingual Review Press out of Arizona State University and then it won a Chicano/Latino Literary Prize. The book got a favorable review in Publishers Weekly, which was read by Faye. She called me and offered to be my agent for the next book. Once you have a good agent like her, publication is a little easier. 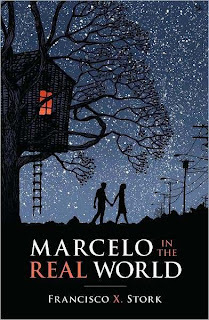 Congratulations on the success of Marcelo in the Real World (Arthur A. Levine, 2009)! I'm happy and surprised at how well Marcelo has done and particularly on the Schneider Family Award bestowed on the book. Most of all, I've been overwhelmed by the number of people that were touched in a special way by the book. Congratulations on the release of The Last Summer of the Death Warriors (Arthur A. Levine, 2010)! Could you tell us about this novel? The novel is the story of a friendship between two very different young men. Pancho, a Mexican-American boy bent of avenging his sister's death, and D.Q., a highly philosophical Anglo boy who has brain cancer. Their paths cross in an orphanage in Las Cruces, New Mexico; where Pancho is given the job of being D.Q. 's assistant. 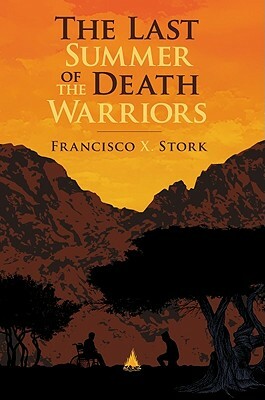 D. Q. wants Pancho to be a Death Warrior, a kind of lover of life in all its forms, and Pancho just wants to pursue his plans for revenge. Eventually, they end up in Albuquerque where, among other things, they both fall in love with the beautiful Marisol. I was inspired by Cervantes' Don Quixote. I wanted to write about the kind of transforming relationship that Don Quixote and Sancho Panza have and so I came up with my own D.Q. and Pancho Sanchez! The Last Summer of the Death Warrior happened relatively fast. I started writing it a couple of months after I finished Marcelo in the Real World. I guess the major event was getting started. 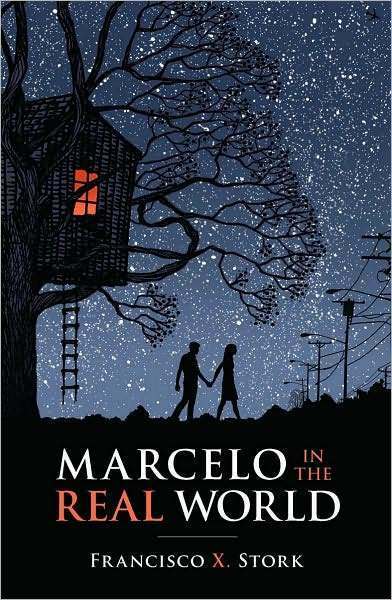 I was kind of intimidated by how well Marcelo was received, and I didn't know if I could write a book like Marcelo again. It took me a while to accept that every book is different, that every book has its own life. At the same time, it was important to me to challenge myself to write better, to go deeper with each book, and I hope I've done so with Death Warriors. We wanted the book to come out a year after Marcelo, so that was a challenge. There was one passage in the book, a scene between D.Q. and Pancho that was very difficult to get exactly right. Cheryl Klein, my amazing editor at Arthur A. Levine/Scholastic, spent a lot time on that scene. It is a scene where D.Q. tries to explain to Pancho the kind of spiritual faith that he has, and it was hard to do because writing about spiritual matters requires a lot of work and craft. It is important that what is written come from the heart of the author, and it should be subtle and not preachy. If you could go back in time and talk to your beginning-writer self, what would you tell him? I would tell myself: "You are unhappy because you are not writing. You are not using the gift given to you." What books by other authors would you recommend to your own fans and why? All the books of Annie Dillard and Flannery O'Connor. They have the depth and the style. I still need my day job as a lawyer. But hopefully, I can one day write full time! I would like to tell beginning writers to try very hard see that writing is good, even if you don't get published. Try to get published, of course. But love the writing process regardless. I'm tapping into my feminine side and writing a novel about two young girls. I'm having lots of fun!